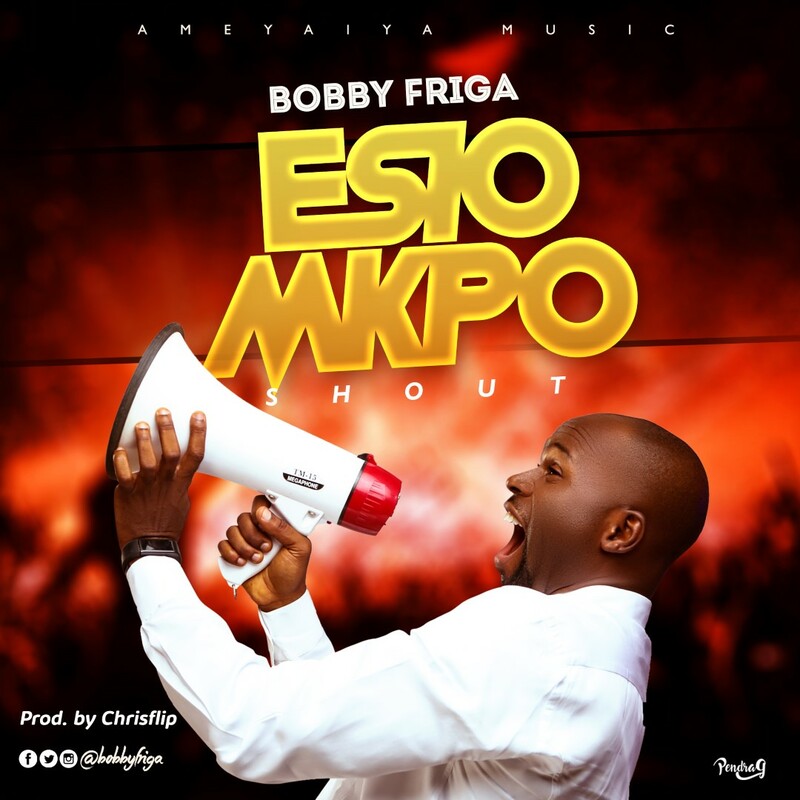 Bobby Friga, The chairman of the Fellowship Of Gospel Music Ministers Of Nigeria (FOGMMON), Akwa ibom state chapter steps out with his new single “Esio Mkpo” ( Shout ), this is a new free single after releasing his album “Ameyaiya” that is currently trending in the market. In December 2018 he hosted one of the biggest ticket gospel concert in the city of Uyo, Akwa ibom state. One of the climaxing factor that best describe happiness, victory, joy etc is when a “Shout” of excitement is made. This act alone cements the total expression of the person or group of persons that are in this mood. Coming from the Ameyaiya Music is Bobby Friga, a popular Gospel Artiste from Akwa Ibom State, recorded a song that best describe the feeling of excitement, joy, happiness etc. That song is titled “Esio Mkpo” translated to English from it’s Ibibio as “Make a Shout”.